Posted on March 3, 2017 by Dave wrote in Paintless Dent Repair. Hail is an unpredictable force of nature and one that can harm your car quite a lot. Particularly in the Midwest it is extremely common, pelting your car repeatedly leaving many dents. This can make hail damage repair very tricky for someone untrained or a DIY enthusiast. Fortunately I specialize in paintless dent repair, the industry’s leading technique for dent repair, since 2004. Kent’s Dents primary objective is to bring the customer remarkable results in a timely manner for a very affordable price. Driving me to achieve this goal is the satisfaction on my customers faces when they see their completely renewed vehicle and the urge to be the top pick for Memphis hail repair. Every year nearly one billion dollars in property is affected as a result of hail damage. It can be very damaging to your vehicle, especially if left unrepaired. Negligence can result in rust and further structural damage, decreasing the overall value of your car. For this reason I recommend that you get your car repaired as soon as possible. My use of advanced PDR techniques to make all of your hail damage problems disappear. Kent’s Dents Memphis hail repair will return the quality and value of your vehicle to brand new. It is not uncommon for a technician to suggest that your car needs to be repainted, panels need to be removed, etc. jacking up the price of your repair. But not at Kent’s Dents Memphis hail repair. Through my use of paintless dent removal I save you time and money at no cost to your vehicle. The consistent quality of my techniques is guaranteed. After 13 years of dent repair I’ve seen it all from simple hail damage to door dings, minor creases, large dents, and more. No dent is too much for me to handle because customer satisfaction is my top priority. Don’t let hail damage ruin your ride. 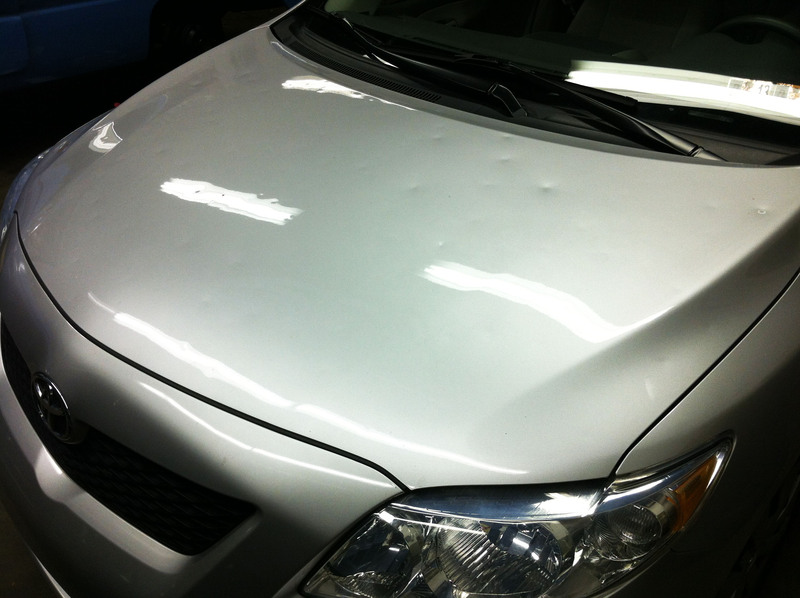 Call Kent’s Dents Memphis hail repair for fast, affordable, and professional solutions.